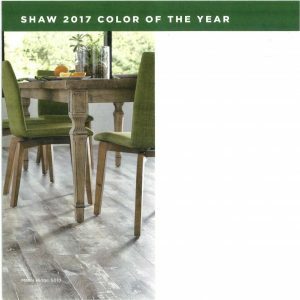 Announcing the color of the year for 2017…green. In various shades and a bit different from source to source but it is in fact green. Quite a big change from the various shades of white a year ago. It follows the influence of botanical looks that surround us and is also acting as a calming agent in our turbulent world right now. Lush is nature’s neutral. From the tallest trees to the deepest valleys, green surrounds us. It’s vibrant, but at the same time, soothing. It changes with the seasons without ever getting old or boring. It’s sprouting up in interior design and fashion trends across the world. Lush spans every style, from glamorous to rustic to contemporary. It can be a statement color, and it plays just as nice with jewel tones as it does with popular neutral hues. 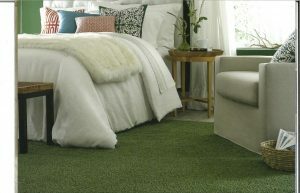 Lush can also be used as an accent color to pull out subtle hues in a tweed carpet, bold print or throw pillow. Lush is an excellent companion to hardwood flooring. Just as you’d see in nature, Lush greens are an organic complement to the natural beauty of hardwood. This entry was posted in News on October 12, 2017 by hshearer@commodorehomes.com.